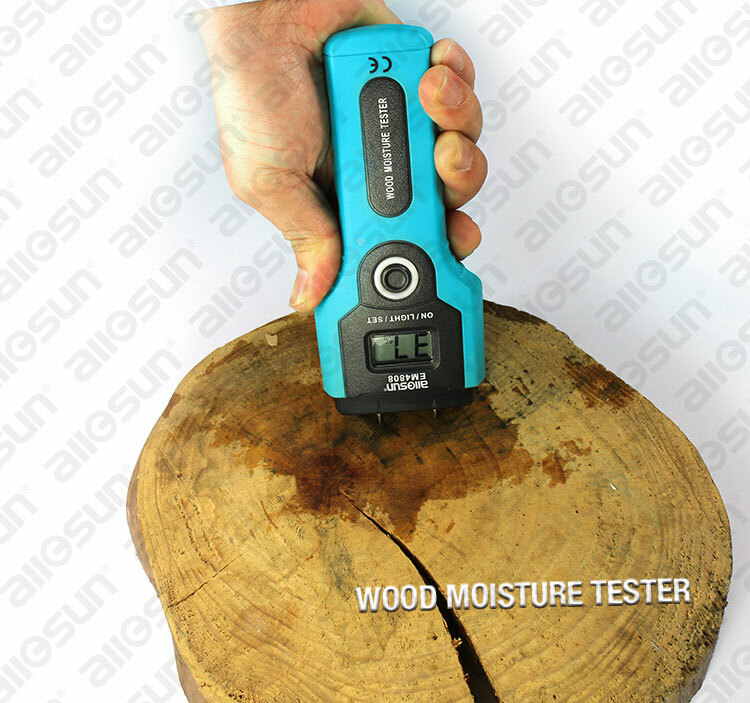 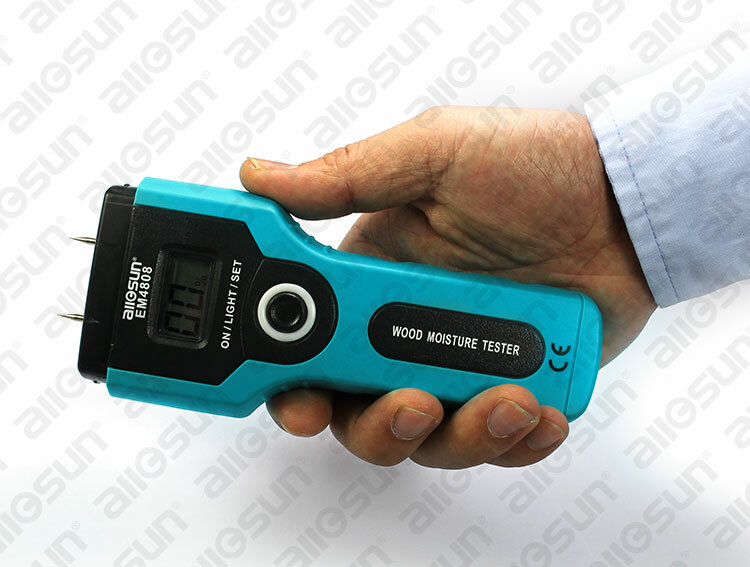 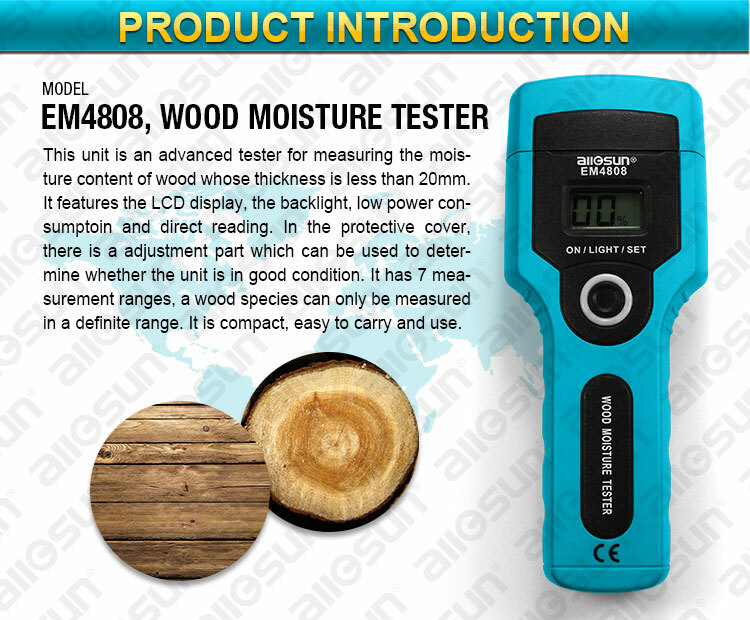 This unit is an advanced tester for measuring the moisture content of wood whose thickness is less than 20mm. 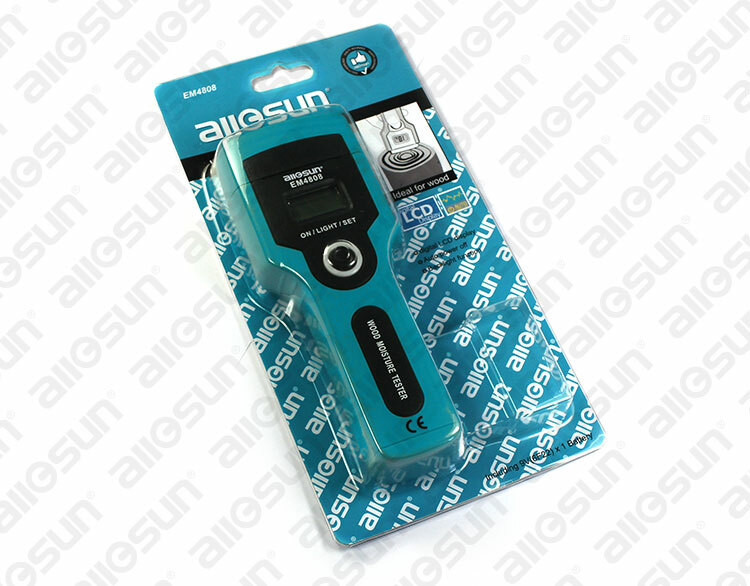 It features the LCD display, the back-light, low power consumptoin and direct reading. 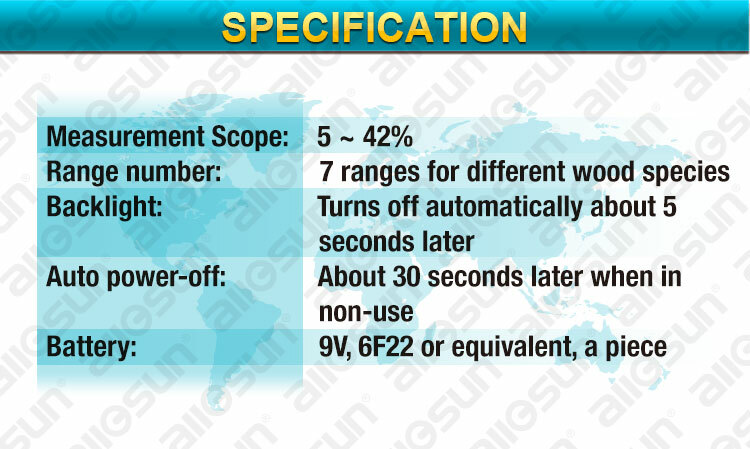 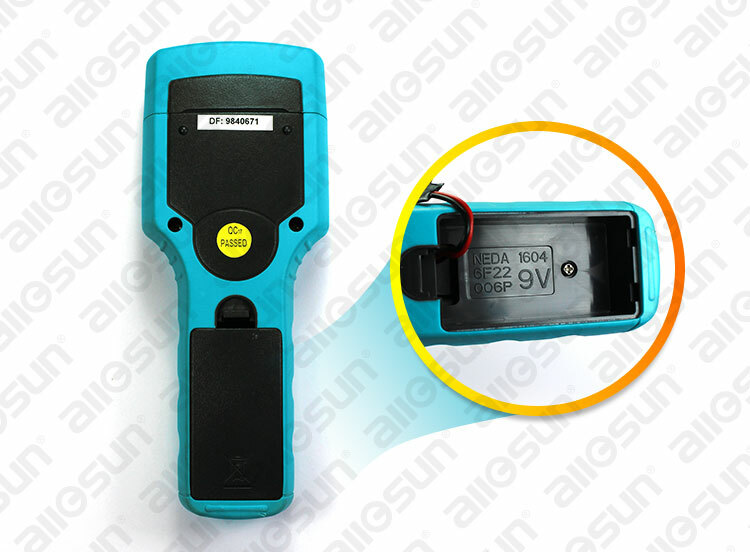 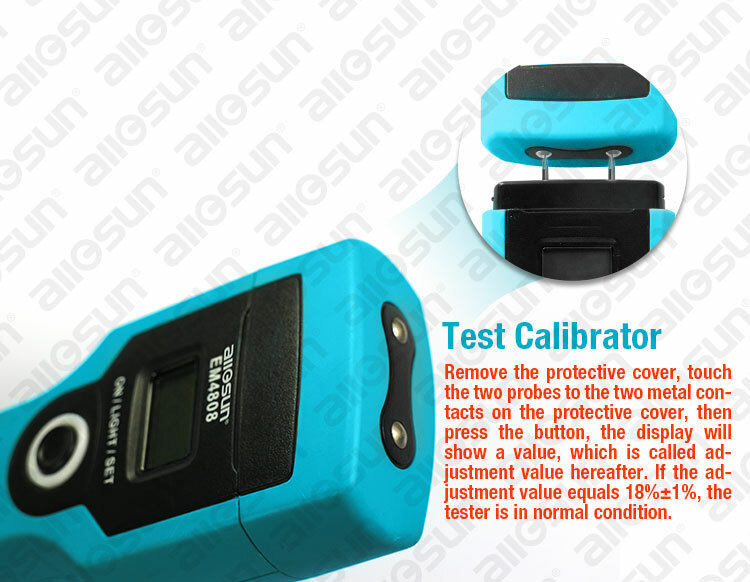 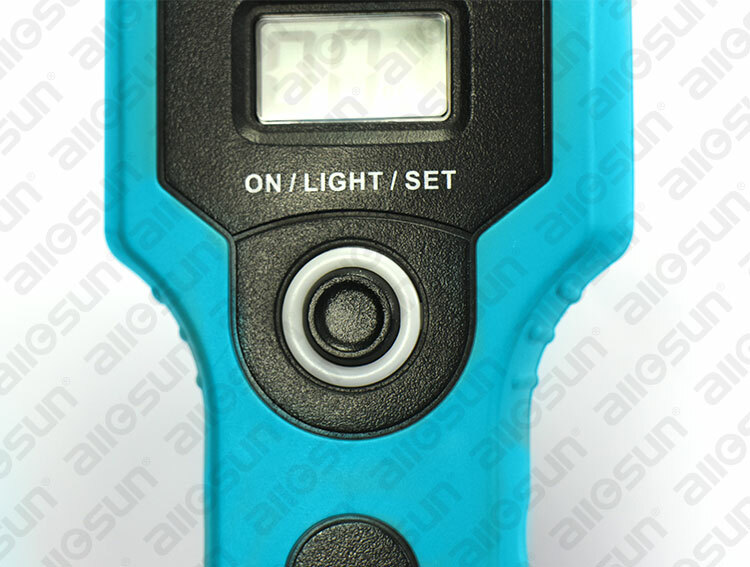 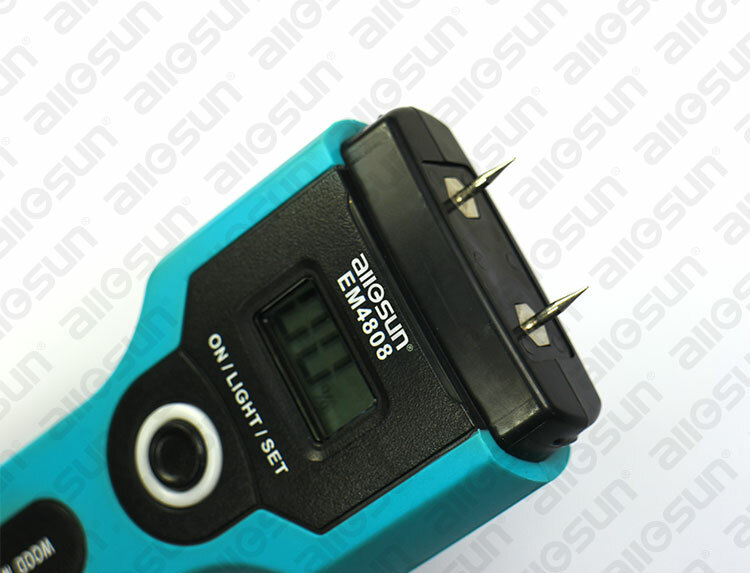 In the protective cover, there is a adjustment part which can be used to determine whether the unit is in good condition. 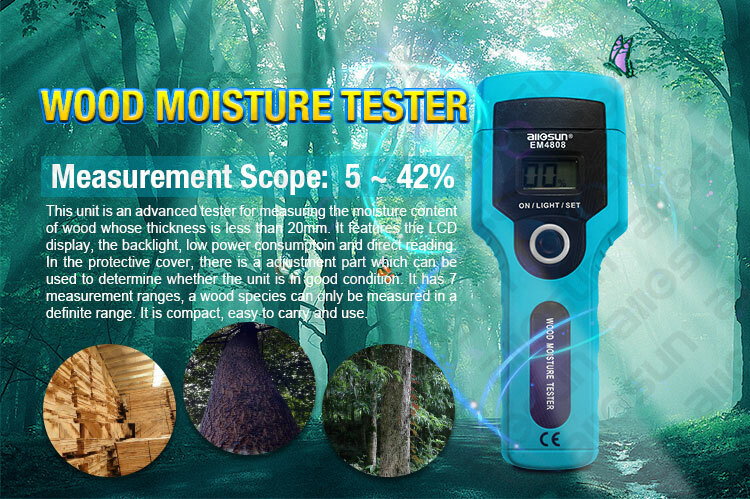 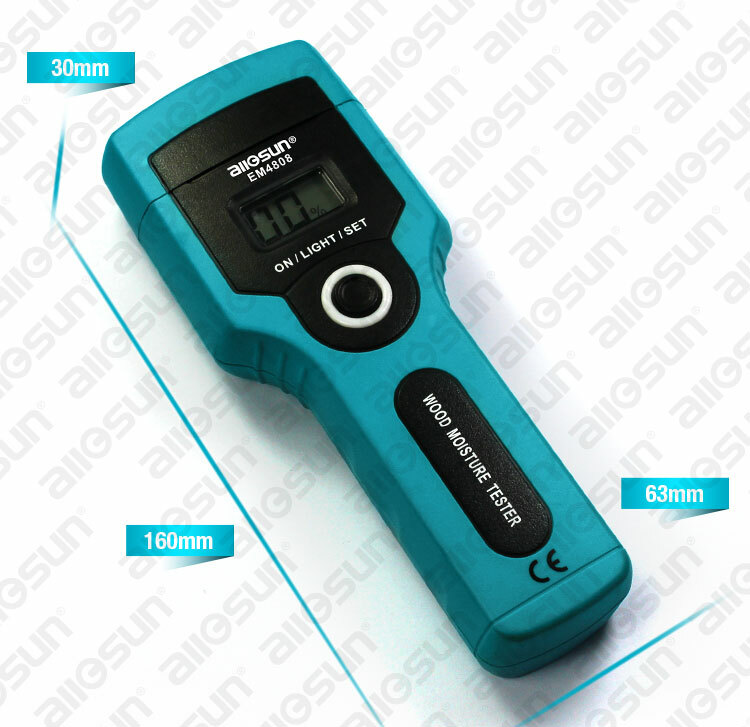 It has 7 measurement ranges, a wood species can only be measured in a definite range. 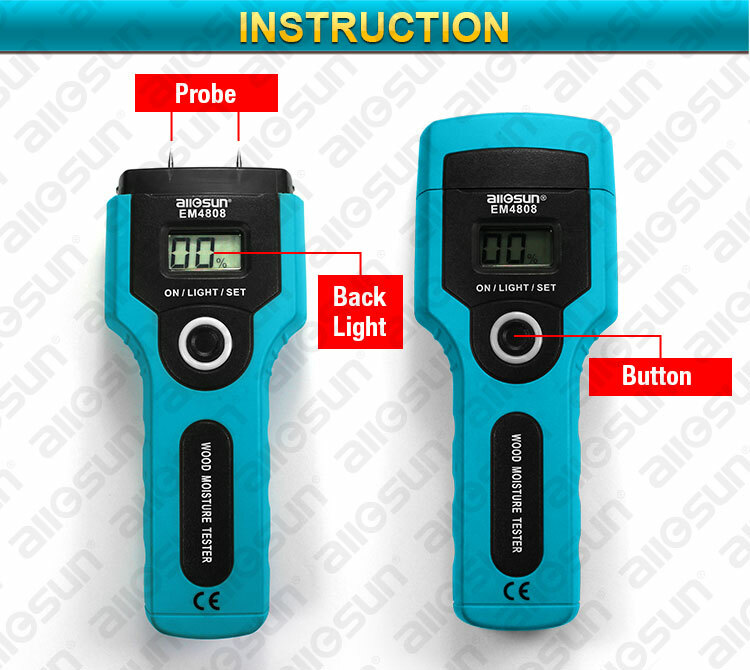 It is compact, easy to carry and use.